Create Your Own Baby Nursery Design Ideas With Polka Dots and Circles Using the Nursery Decorating Ideas and Pictures of Baby Rooms on This Page. This page is full of dotty baby nursery design inspiration! If you want to create a baby nursery using circles or polka dots you'll find plenty of ideas here. Mix and match, pick and choose and create your own dotty nursery design! 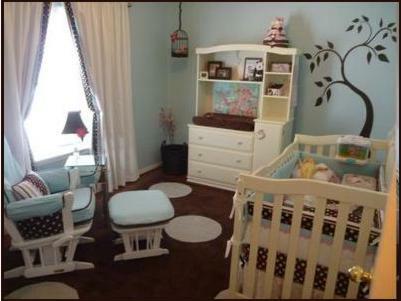 This twin baby room idea was sent to us by Melissa. You can read more about this pink and blue twin nursery idea here. This nursery was sent to us by Heidi (Wilton, Iowa). You can read more about this Tinkerbell nursery idea with circles here. 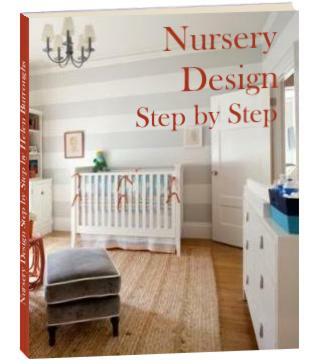 This nursery design was sent to us by Heidi Racquel (Sonoma County, Ca ). 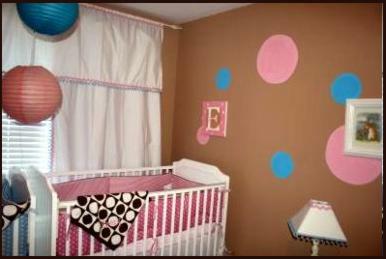 You can read more about the nursery design ideas in this puppies and polka dots nursery here. 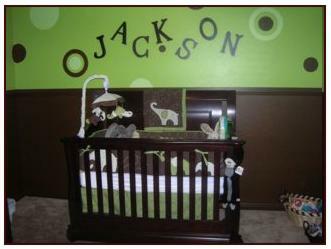 This nursery room was sent to us by Shanda Wootton (West Jordan, Utah). You can read more about this stripes and polka dots nursery here. 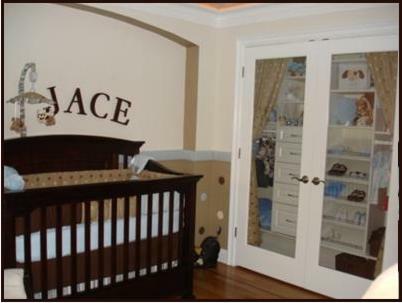 This baby nursery idea was sent to us by Diane Boffa (Andover Twp, NJ). You can read more about this whimsical nursery idea here. 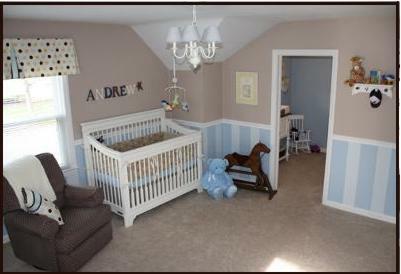 This baby room design was sent to us by Jenni and Glenn McKay (Wesley Chapel, FL, USA). You can read more about this circles nursery idea here. 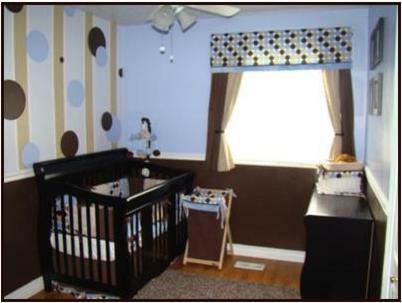 This nursery decorating idea was sent to us by Shannon Spare (Sayreville, NJ, USA). You can read more about the nursery design ideas in Delilah's Ice Cream nursery here. 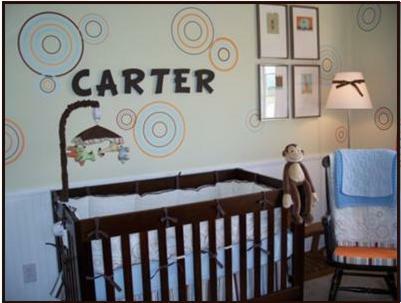 This nursery design was sent to us by Sara Harms (Houston, Texas, USA). You can read more about this Robins Egg Polka Dots nursery idea here. 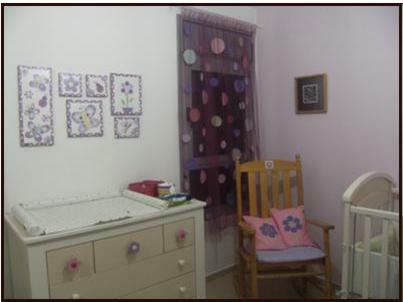 This baby nursery was sent to us by Sophie Vardi (Modiin, Israel). 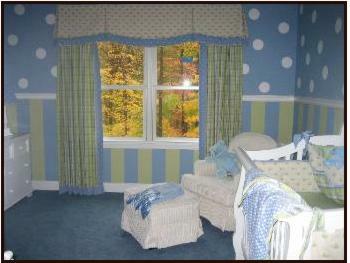 You can read more about this Pretty Polka Dots nursery here. 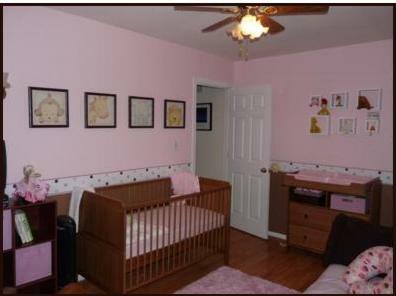 This baby room was sent to us by Dave (Cleveland, OH). You can read more about this Sweet and Sophisticated nursery here. 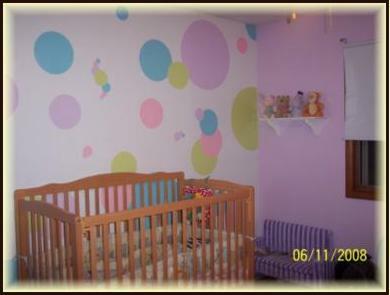 I hope these polka dots and circles nursery room pictures gave you some ideas and inspiration for your own nursery design.